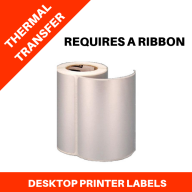 Zebra GT800 labels - Genuine Zebra direct thermal and thermal transfer labels for Zebra GT800 thermal transfer label printers, supplied on 25mm cores. 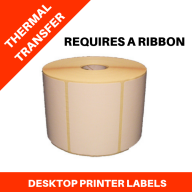 Direct thermal labels do not require the use of a thermal transfer ribbon to print an image, thermal transfer labels DO require the use of a thermal transfer ribbons to print an image. 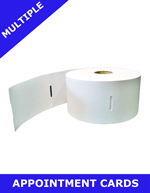 The range includes Z-Perform 1000D / Z-Perform 1000T (economy) and Z-Select 2000D / Z-Select 2000T (premium topcoated) materials and is available in a range of self-adhesive labels and non-adhesive receipts. 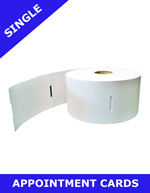 Zebra barcode labels for Zebra GT800 printers ensure reliable, high-quality printing. Our Zebra GT800 direct thermal and thermal transfer barcode labels are performance-matched to Zebra GT800 label printers for crisp, dependable output.